Insight Enterprises, Inc. – HP Inc.
HP PCs and printers are recognized as market leaders in price and performance and are widely regarded as the highest quality and most reliable products in the industry. In addition, HP offers comprehensive support and service programs. Trust HP to help you deliver superb public value through the U.S. Communities and Insight Public Sector competitively-solicited contract. HP is a premier provider of technology solutions for education and state/local government agencies. HP is a partner who empowers our customers to utilize our tools in the most effective ways. We know that when the right people are given the right tools, anything is possible. State and Local Government: Trusted Security built into HP PCs and Printers help to keep state and Local agencies compliant and sensitive information out of the wrong hands. HP has security solutions built from the ground up in both our PCs and printers to meet even the most stringent requirements. With a broad range of products to choose from, HP has a solution to fit within a government budget, while still upgrading with the latest PC and print technology. Education: At HP, we believe that a high-quality education is a modern education. One in which students and teachers can create deeply individualized and connected learning experiences, at any time and from anywhere, in the classroom or not. It is only by evolving the way we empower teachers to differentiate instruction and students to learn how they learn best, that we can ensure meaningful learning and positive social and economic outcomes. This will create a brighter future for our whole society. Visit HP Education to learn how. Public Safety: When the "office" is not actually in an office, your agency still relies on powerful computing to keep it running. HP has rugged and mobile products and solutions that pack full-strength computing capability into a convenient and durable design. Whether computing or a mobile printing solution is needed, they are designed to perform in the harshest environments so you can supercharge your worksite productivity. Experience cutting-edge design, innovative engineering, and high-quality materials with sophisticated and durable HP PCs. Today's IT threats strike businesses from many places and from all angles. 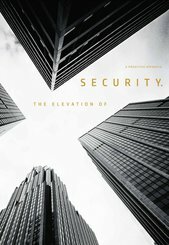 Security must cover every entry point with multiple layers of protection. To stay competitive, businesses need HP Security solutions that are simple to deploy, manage, and customize, while also easy for employees to use. HP secures the foundation of your PC with solutions that are enforced by the hardware for stronger protection. Browse confidently and work safely in the office or on the road knowing you have hardened security features on your HP Elite PC. 1. Based on HP's unique and comprehensive security capabilities at no additional cost and HP Manageability Integration Kit's management of every aspect of a PC including hardware, BIOS and software management using Microsoft System Center Configuration Manager among vendors with >1M unit annual sales as of November 2016 on HP Elite PCs with 7th Gen and higher Intel® Core® Processors, Intel® integrated graphics, and Intel® WLAN. 2. HP Sure Start Gen4 is available on HP Elite and HP Pro 600 products equipped with 8th generation Intel® or AMD processors. 3. HP Sure Run is available on HP Elite products equipped with Intel® or AMD® 8th generation processors. 4. HP Sure Recover is available on HP Elite PCs with 8th generation Intel® or AMD processors and requires an open, wired network connection. You must back up important files, data, photos, videos, etc. before using HP Sure Recover to avoid loss of data. 5. HP Sure Click is available on select HP platforms and supports Microsoft® Internet Explorer and Chromium™. Check http://h20195.www2.hp.com/v2/GetDocument.aspx?docname=4AA7-0922ENW for all compatible platforms as they become available. 6. HP Sure View integrated privacy screen is an optional feature that must be configured at purchase. 7. HP Multi Factor Authenticate Gen2 requires 7th or 8th Generation Intel® Core™ processor, Intel® integrated graphics, and Intel® WLAN. Microsoft® System Center Configuration Manager is required for deployment. Three authentication factors requires an Intel® vPro™ processor. Authentication factors may require optional hardware. 8. HP Manageability Integration Kit can be downloaded from http://www.hp.com/go/clientmanagement. HP printing and imaging helps achieve critical outcomes. HP LaserJet printers, MFPs and JetAdvantage solutions empower users to do more in less time. An innovative suite of mobile printing options, security solutions and manageability tools help you streamline workflows so you can keep pace with the demands of your agency. HP printers and MFPs deliver consistent quality every print, every time. HP LaserJet printers have a 30-year history of innovation, including mobility and security features that allow your agency to work harder, print faster, and help save more. HP LaserJet products deliver outstanding print quality designed for agencies of all sizes. Give your agency the printing performance it needs with Ethernet and wireless networking options, easy printing from mobile devices, and essential management features. Choosing HP LaserJet printers and MFPs will help you consistently deliver sharp black text and extremely high-quality color and images for all your projects. Original HP Toner cartridges with JetIntelligence, specially engineered to help your printer print faster and print up to 33% more prints. With HP color access control features, you can introduce color printing worry free. Balancing speed, quality, and printing cost once meant sacrificing one benefit for another. HP PageWide Technology delivers the ultimate combination of value and speed, with the quality your departments demand. Drive productivity with lower color cost, maximum uptime and the industry's strongest security. When digitizing large page volumes, dedicated scanning technology can be the best solution. Whether you need a simple system for turning stacks of paper into digital files, or a fully customized document-capture workflow solution, HP has a ScanJet Document Scanner designed to get the job done. To utilize HP Inc. through the Insight Public Sector technology solutions contract, you must be registered as a participating agency with U.S. Communities. There is no cost for membership, no user fees or commitments. U.S. Communities is open to states, state agencies, counties, cities, schools, colleges and universities, non-profit organizations and special districts. If you are already registered, please contact Insight Public Sector. To place an order online, you must first have an account with Insight and a web login ID and password. If you do not have a login ID, please contact your sales representative by phone or email to request one. Once you have your login information, visit www.ips.insight.com/uscommunities to enter in your user ID name and password. To locate a product, click on the product categories at the top of the page, or enter the manufacturer’s part number or keyword in the Search box. To select a product to order, click on Add to Order. Please contact your sales team if you cannot locate an item on our site and/or for volume pricing. Once you have finished shopping, proceed to the checkout screens and follow the instructions as needed to complete your order. 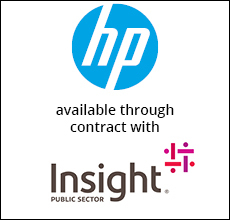 HP Inc. products and services are competitively priced through the Insight Public Sector contract. Insight Public Sector's competitively-solicited U.S. Communities contract assures you of Insight’s best overall government pricing on our broad portfolio of products and IT service solutions. Is the Insight Public Sector contract competitively-solicited? The U.S. Communities technology contract was awarded after the lead public agency, Fairfax County, Virginia, completed a competitive solicitation and thorough evaluation process and is available for nationwide use. HP Inc. was named in the award under Insight Public Sector. For additional contract details, please see the Insight Public Sector contract. If my agency already has an account with Insight Public Sector, do I need to set up a new account? No. Contact your Insight Public Sector Account Manager to have the U.S. Communities program linked to your existing account. Today's threats require attention to detail and endpoint devices on the network. HP print security can help you stay ahead. Only HP printers with built-in malware protection plus industry-leading software and services to deploy the industry's strongest print security. 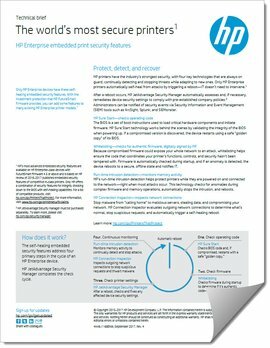 Learn how HP printers, software, and services deliver leading security protections for your devices, data, and documents. 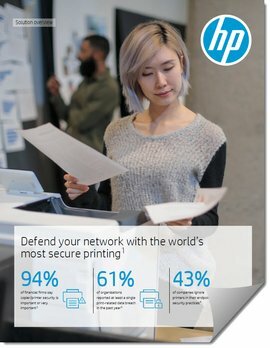 1 "Most secure printing" claim based on HP review of 2016 published security features of competitive in-class printers. Only HP offers a combination of security features that can monitor to detect and automatically stop an attack then self-validate software integrity in a reboot. For a list of printers, visit: hp.com/go/PrintersThatProtect. For more information: hp.com/go/printersecurityclaims. Learn about solutions from HP through the Insight Public Sector contract. Listen to the recorded webinar to hear more on security and risks with your printers, print solutions and innovations in the classroom. Join the largest and most experienced cooperative purchasing organization for public sector procurement.